Operators are drilling extended reach laterals with higher stage counts as an option to maximize the recovery of hydrocarbons. This, however, introduces completion challenges, where producers are often restricted either by technical, cost or time limitations. In systems that require mechanical intervention such as plug-and-perf, longer laterals and more stages can increase the completion complexity and operational risk. Advances in the Packers Plus StackFRAC® system has increased the maximum number of stages that can be completed with this ball-drop stimulation method, providing an efficient and cost-effective option for high stage count wells. 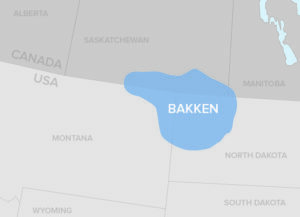 An operator working in North Dakota’s Bakken formation had completed several wells with 35-stage ball-drop systems. The operator wanted to reach higher stage counts for their long laterals, while maintaining their stage spacing for effective reservoir coverage. To achieve this goal, the system would require ball seat size increments smaller than the traditional 1/16-in. To manufacture ball seats with size increments that were smaller than this number, it was necessary to consider the effects of ball seat erosion. If not properly accounted for, ball seat erosion can increase the risk of lost stages during pumping operations, causing balls to pass through to seats further downhole and leave planned treatment stages unstimulated. The Packers Plus StackFRAC HD-X high fracture intensity system was specifically designed for extended reach laterals. The operator ran the StackFRAC HD-X completion system (4.5-in.) for two of their open hole horizontal wells in Williams County, with lateral lengths between 9,650 and 9,700 ft. Both wells included non-standard ball seat sizes for internal stage-to-stage isolation, with a proprietary anti-erosion coating. The first well was completed with 49 stages and the second with 50 stages, with planned average stage spacings of 194 and 189 ft, respectively. Both the 49- and 50-stage systems were successfully installed and a 100% success rate was achieved for ball launch, ball landing on seat and sleeve shifting. All port activation events were confirmed with the Packers Plus ePLUS® Retina monitoring system. The first well was completed in 50 hours of pump time using 4.9 million lbs of proppant and 69,886 bbls of fluid, and the second well in 52 hours, using 5 million lbs of proppant and 73,600 bbls of fluid. Using a ball-drop completion system for both wells helped mitigate the operational risks that can be experienced with wireline and coiled tubing intervention. A single, continuous pumping operation for the completion program also saved the operator a significant amount of time compared to the plug-and-perf completion method. Up to 63 ball-drop stages can currently be completed with the StackFRAC HD-X system. Packers Plus specializes in providing solutions for multi-stage completion systems and technically challenging applications in horizontal, vertical, multi-lateral and high pressure/high temperature wells. Well solutions are customized based on operator requirements and can be adapted based on changing industry demand.